A stunning kitchen designed and installed by KTB Gallery features in April 2013’s Beautiful Kitchens Magazine. 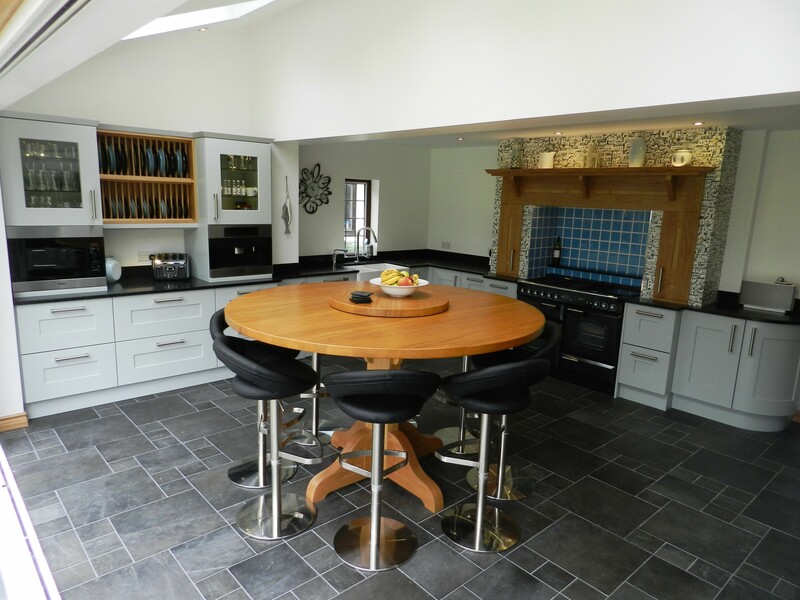 The Finnerans of Sambourne chose a Stoneham Kitchen with a classic Tate door in painted Pale Blue and Light Oak. They wanted feature appliances to enhance the kitchen, such as the two drawer dishwasher from Fisher and Paykel and a Rangemaster cooker and fridge freezer. They loved the idea of instant boiling water so added a Quooker tap and finished the luxury of the kitchen with a Miele coffee machine and microwave.